Gail Stanart is an entrepreneur, political activist, and committed Christian. Gail has lived in House District 126 for 29 years and launched a successful businesses in insurance and cosmetics during her residency in District 126. Gail’s career has covered many industries, including managing an oil and gas construction office, operating an insurance business, designing and managing construction of a 50,000 SF home improvement company headquarters, and managing a law office. Gail has concentrated on serving as a political activist for almost 2 decades and has worked diligently for conservative causes and Republican principles. 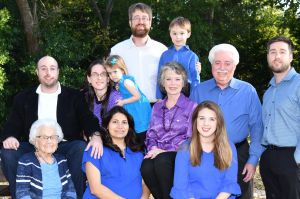 She is is currently serving as Republican Party of Texas State Republican Executive Committeewoman for Senate District 15 and also served the Harris County Republican Party as Precinct Chair of Precinct 0451. She served as President of Texas Tea Party Republican Women, in addition to serving as Vice President of Programs, Legislation, and Membership. She also took on the task of serving as the club’s PAC Treasurer. She has been a delegate to every Senatorial District Convention and every Republican Party State Convention since 2004 and attended both the 2008 and 2016 Republican National Conventions as an Alternate Delegate. 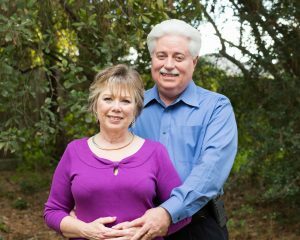 Gail and her husband Stan Stanart, the Harris County Clerk, — have been married for 14 years and are active members of Champion Forest Baptist Church, where Gail has served for over 28 years. A native Texan, Gail’s Texas roots run deep. She spent her early childhood years living in the Humble Oil Spindletop camp. Today the Stanarts take pride and joy in their three grandchildren at every opportunity.